M.A. students in the Department of Modern and Classical Languages, Literatures, and Cultures may opt to pursue a concurrent degree with another program outside of the Department. Here are some examples of areas in which concurrent degrees have been ot could be pursued, but other combinations would also be possible. MCLLC students have also pursued concurrent degrees within the Department. Here are some combinations of which students have taken or could take advantage. M.A. in Teaching World Languages and one of the following: M.A. in Classics, M.A. in French and Francophone Studies, M.A. 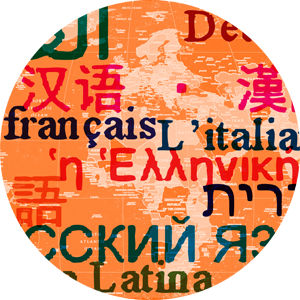 in German, Graduate Certificate in Latin Studies, M.A. in Teaching English as a Second Language, Graduate Certificate in Teaching English as a Second Language. M.A. in Teaching English as a Second Language and one of the following: M.A. in Classics, M.A. in French and Francophone Studies, M.A. in German, Graduate Certificate in Latin Studies, M.A. in Teaching World Languages. Nine credit hours are shared between two degrees, with the approval of both Directors of Graduate Studies. ----- Concurrent Master Degrees form on the Graduate School web page.